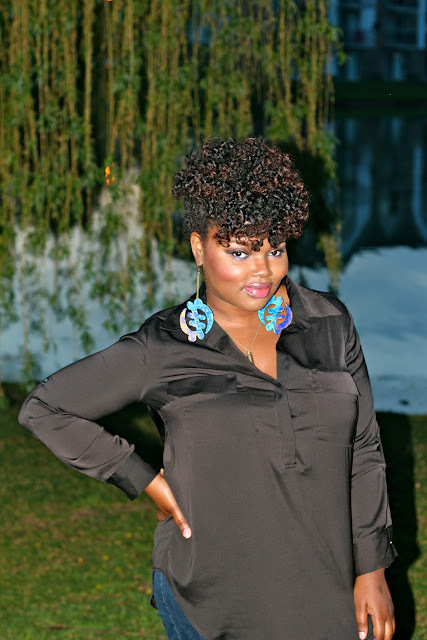 CharyJay.com: Cop this Style: Curls on Curls on Curls! After doing a plethora of styling tutorials on YouTube, it can be hard to keep things fresh and new. I often feel as though there's no style I haven't "been there, done that" so once I got the idea for this style, I knew I just had to do it!. And I love it! 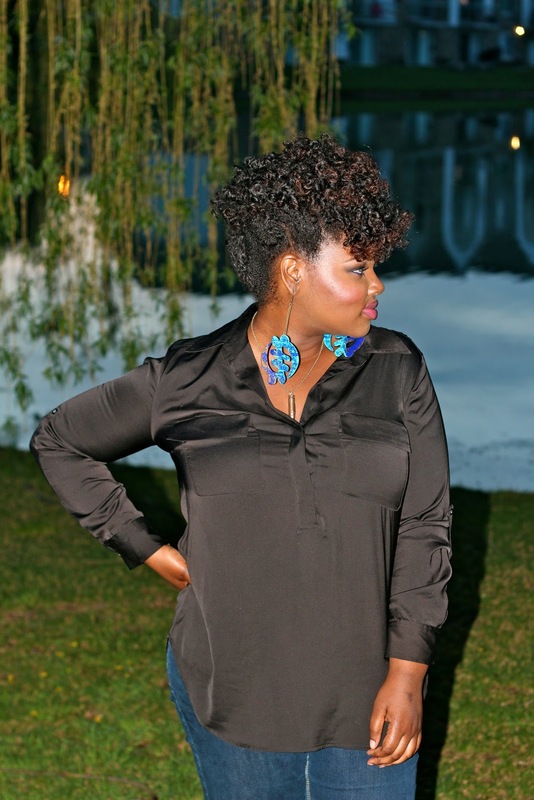 For this style I used ILY natural hair products. I love this line! The first time I used it was back in February for the "Nothing, but Tendrils & Curls" Style Card. Every since then I've been using it to achieve different styles where I needed to have defined curls that lasted because it does the trick every time! I also love this line because it's all natural (for real tho! ), vegan and fragrance free. This will definitely be a line I'll use when I start my detox. Unfortunately my boyfriend doesn't care for the smell of these products, but I told him he needs to buck up and deal with it since I'll be using them more often in the upcoming weeks. Prep: I washed my hair with ILY's Gentle Cleanser and conditioned and detangled hair using ILY's Dash Condition. Once I got out of the shower, I applied ILY's leave-in conditioner, Courage to my hair and sealed the moisture in with Darcy Botanicals Pumpkin Seed Elixir (which is definitely one of my favorite oils at the moment. Battle of the Oil post coming soon!). I then let my hair air dry over night and styled in the morning on dry hair. a. Starting at the crown, I parted my hair in a medium size section slightly slanted to the left. 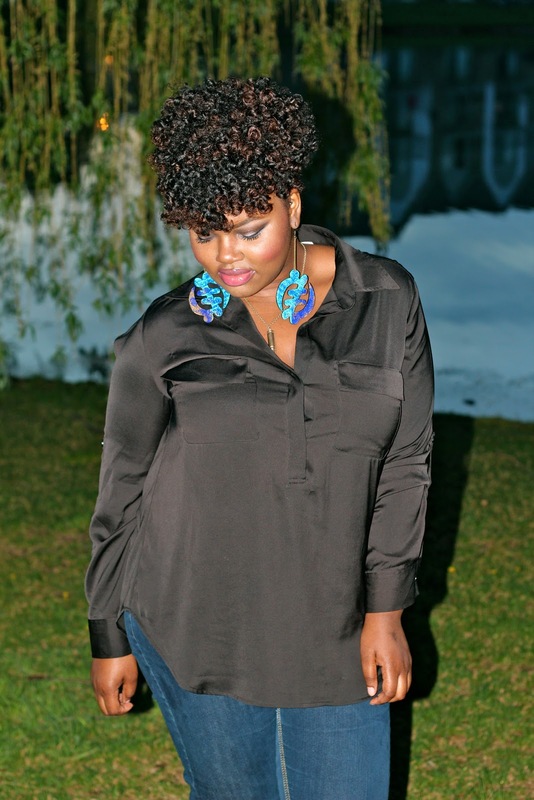 I then applied ILY's Harmony and Serenity to my strands and combed through. b. I parted this section of hair in half. With the bottom half I created a two-strand twist. c. With the upper half, I created another flat-twist in that same section. d. I then put the ends of the flat-twist in bantu-knots. 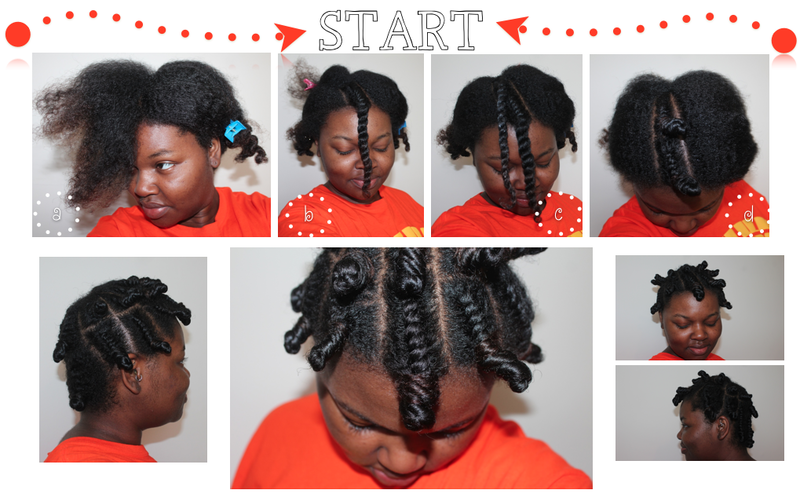 I continued this process until all of my hair was flat-twisted and put into bantu-knots at the end of each flat-twist. I had 16 flat-twists/bantu-knots in total. I let them air dry for nine hours. I really enjoyed this style. You can wear it in a number of different ways. I decided to pin it up since I had no time to fluff it out and get the maximum volume that I'd want if I chose to wear it in a curly afro look. Let me know if you'd want a video for this look. Also, have you tried this before? If so, what products did you use and how did it turn out? Thanks for reading! 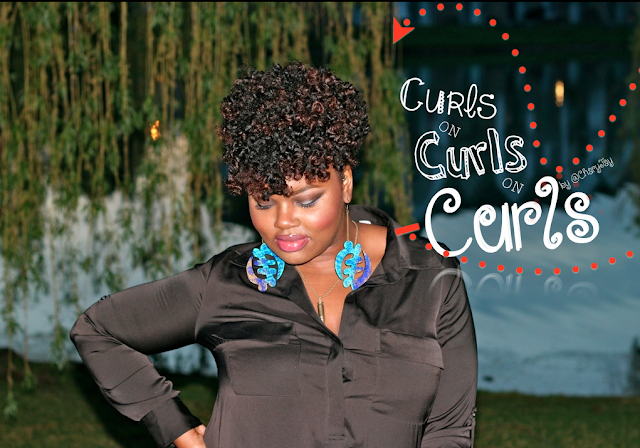 Yes, I would love to see a video, I did a similar style using two strand twist and perm rods, using cream of nature argon oil products.... I loved the results! I'm just a subbie, not a vlogger, but I enjoy learning new styles for my natural hair... I gets tons of compliments and I always say youtube,160days, iknowlee, msvaughn, etc. you all are awesome! Love it...Where did u get those earrings? Love this style! Please do a video, the outfit is great too! I love this style!!! You rocked it beautifully!! CharyJay you look totally awesome! Yes please when you have time cause I know you just moved would love to see a tutorial. Yes Chary, I would like to see a video on this style. I am curious on how you pinned up the back, thanks.